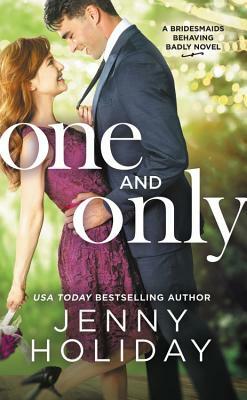 From the USA Today bestselling author who is a "master of witty banter" (Entertainment Weekly) come a "perfect rom-com" (Refinery29) that proves when opposites attract, sparks fly. "A fun, fast-paced, satisfying read." "Cam is my new book boyfriend....This book is going on my keeper shelf." "This book was SO ENJOYABLE. Every single page gave me all the feels. I loved the characters, the plot, the writing - everything." "A sweet, hilarious and powerful romance story that will warm your heart." Jenny Holiday is a USA Today bestselling author who started writing at age nine when her awesome fourth-grade teacher gave her a notebook and told her to start writing some stories. That first batch featured mass murderers on the loose, alien invasions, and hauntings. (Looking back, she's amazed no one sent her to a shrink.) She's been writing ever since. After a detour to get a PhD in geography, she worked as a professional writer, producing everything from speeches to magazine articles. Later, her tastes having evolved from alien invasions to happily-ever-afters, she tried her hand at romance. She lives in London, Ontario, with her family.